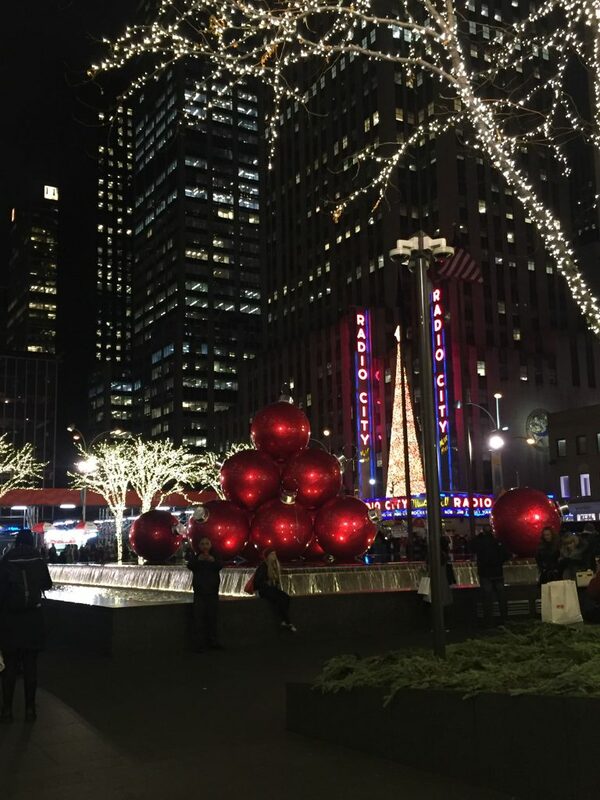 Christmas in New York is like a fairytale, it’s pretty magical. New York itself is just like the movies and if you combine that with twinkling fairy lights, giant Christmas trees, nutcrackers on every corner, first class shopping experience, world renowned hot chocolate and a dusting of snow; you’ve got Christmas in New York. New York is renowned for its broadway shows and I always think that it’s pretty essential to catch a show when you go. If you’re looking for something festive, Disney’s Aladdin is as festive as it comes. It’s the closest the Americans have come to having a pantomime; it’s funny, romantic, has it’s touch of adventure and drama and of course it sparkles (quite literally! The costumes and sets are made with thousands of swarovski crystals!). And it’s Disney! Need I say more. And finally, what is Christmas without the Nutcracker. The Nutcracker is a centuries old ballet production set on Christmas Eve when magic stirs and the toys come to life. The New York City Ballet production is said not to be missed (I didn’t have time on this occasion which means I’ll have to go to New York at Christmas once again, oh well!) and it is amongst the best anyones ever seen. What is Christmas in New York without shopping? 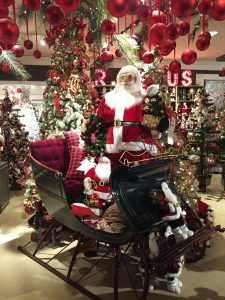 Head to Macy’s 9th floor for their spectacular Christmas displays and decorations. It’s a Winter Wonderland up there. I’d personally recommend selecting special baubles with the year on it that you can treasure forever and why not give these as gifts too? You may also be taken by the Christmas crockery and dinnerware particularly for the season or perhaps the cute wooden santas for something more traditional. Fish Eddy’s on Broadway at 19th Street is a haven for homeware lovers. Whether you’re looking for barware, unique glassware, a treasure trove of vintage plates or even something uniquely fabulous, we think you’ll find someone’s perfect gift right here. There is plenty to do in the city at the best of times but why not tag on a trip to the market on one of your day trips? We went along to three different Christmas markets and found that the stalls were pretty much the same, but at each market I did buy something unique that I didn’t find at the others so I’d personally make a recommendation to see them all if you can. Columbus Circle Christmas Market at the corner of Central Park- why not team with going ice skating at the Wollman Ice Rink in Central Park and afternoon tea at the Plaza? The Union Square holiday market may seem like a bit of a trek from the rest but it’s definitely worth the trip and in reality doesn’t take too long to get there. It’s especially ideal if you’re planning a trip to the East or Greenwich village (ideal for some real New Yorker experience and home to some of the best eateries). It’s also pretty close to Fish Eddy’s and Eataly. For one of a kind gifts at a market, look no further than the Grand Central Christmas market. A lot of the stall holders are exhibiting some exquisite items made in the country, we saw: APOTHEKE, a Brooklyn based company that had some of the most luxurious home fragrances in the form of candles, diffusers and soaps; a New York based artist, Skendzic Photography, who captures New York’s iconic sites in the most amazing way- his prints are available not just as prints but on gold leaf, metal and wood; and The Lodge who had some really cool and unique gift ideas for men. Eataly– a heaven of classic italian foods but not only are there several restaurants and coffee bars within but a bountiful market of delectable italian goodies. We’d highly recommend the La Pizza & La Pasta for the calamari and tagliatelle- delizioso! The Plaza food court. Want to try some world class food without restaurant sky high prices? Welcome to the Plaza food court. You’ll find lobster rolls, caviar, exquisite pasta, delectable cakes and pastries. Lillies Victorian Establishment is a bar you have to visit. As they describe ‘the establishment combines an authentic ostentatious decor with a down-to-earth, mellow ambience’. Perfect for an easy going night and at Christmas they’ve often got some sort of live band; jazz suits this place well. In New York, food on the go is ideal and the food courts in NY are not like anywhere else; they have such an eclectic array of choice that you’ll likely order from a few places and moreso ideal if you and your company fancy quite different things. Grand Central food court is buzzing in just this way; want oysters, hot subs, chinese, sushi, cake, chicken, soup… seriously… you have your pick. For the richest and most celebrated hot chocolate in town, take a trip to The City Bakery. They also have a selection of salad items, hot foods and soups if you’re looking for something a bit more substantial. Let’s start with the famous Rockefeller centre– the VIP treatment here is a no-brainer; the Rockefeller centre is swarming with people all throughout the day and as you can’t reserve general admission, it’ll save you time and money overall. You’ll also have a really great experience with this package as it has it’s own access point, includes skate hire, safe storage of your possessions, a selection of beverages and cookies and a warm place to rest during your skate session if you need it (we highly recommend the s’mores hot chocolate!). 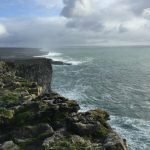 Best time to book? At night when the tree is all lit up! For Wollman Ice Rink in Central Park, if you’re looking at going the weekday I’d say just turn up. Don’t worry about VIP for this one, in comparison to the general admission it is very expensive- though this one does come with 3 hours reserved seating and snacks, it depends what your preferences are really. But when we went, there was no queue at all and we got straight on the ice. Best time to go? Weekday, preferrably sunny, between 10-3pm- this one you want to do during the day. Sak’s Fifth Avenue is one to enjoy after dark; their christmas lights display is pretty spectacular and you’ll want to see this from the Rockefeller side of the road. It runs every 10 minutes from 5pm. Note: it will be swamped so make sure you stay together and get up against a wall if you can. Macy’s shop window display is pretty cute, definitely one more centered around Children and family. It was also interactive which sets it apart from the rest. Bloomingdale’s and most others around the main shopping area (incl 5th avenue) are more for those interested in high fashion, however, children may still find it dazzling as they’ve often got a bit more of a theme to it. We’d recommend to keep your eyes peeled wherever you go! Take a trip to Dyker Heights in Brooklyn; the street with the biggest, and best, home Christmas decorations (though many would argue the best Christmas decorations full stop!). It’s so popular that you can book it as an excursion! New York Public Library. Even if you’re not interested really in what the library has to offer (though the Rose room is pretty spectacular and the Charles Dickens exhibit though small is interesting), it’s worth just popping along, ordering a hot beverage and looking at the massive Christmas tree in the entrance. And of course, you’ve got the Rockefeller centre. Yes the VERY big Christmas tree from home alone. Visit Day and night to ensure you get photos of this spectacular display in both lights. It really is breathtaking so take time to actually enjoy it, not just a picture of it. Do bear in mind that it is swarming with people so allow plenty of time to get your pictures. 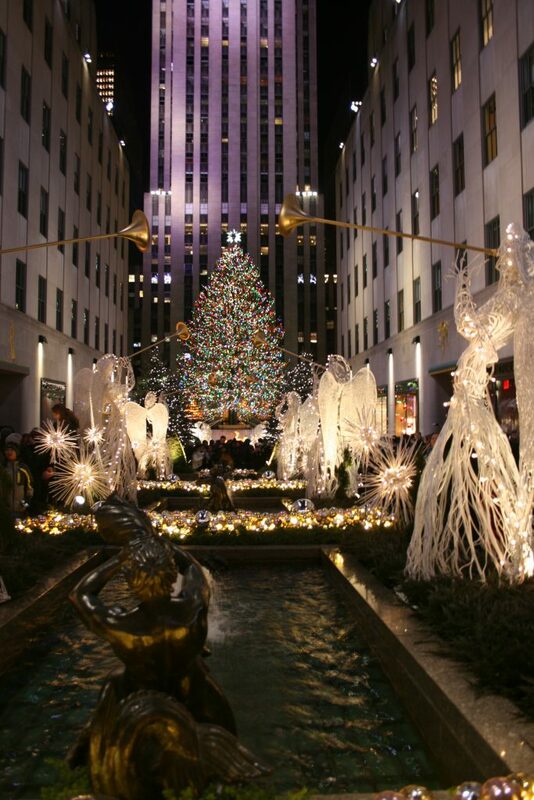 Top picture recommendations: on 49th and 5th avenue (opposite Sak’s) where you’ll get the tree and angels in one picture and between the Rockefeller garden and iconic Rockefeller statue. This year when Sak’s didn’t have their lights display they played the very iconic Home Alone music (Somewhere in My Memory) by John Williams (Sak’s Fifth Avenue were actually playing Carol of the Bells, also used in Home Alone). Want to go? Here’s how! Book now! The sooner, the better as the prices will only go up. 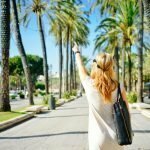 Although many book this little trip last minute, you’re much better off booking as far in advance as possible, you’ll get the best deals now. Virgin offer VERY frequent flights to and from London Heathrow to JFK airport from £400 per person return- bargain! 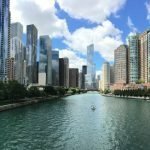 I’d recommend using booking.com and free cancellation options to book your hotel (allows you to watch for prices and change if you find a better deal) or for a true New Yorker experience rent a room or apartment through Airbnb. Once their just hop in a yellow cab into the city. Top Tips: Reserve the weekends for relaxing. Head to the museum, people watch from the coffee shops, stroll around central park. DO NOT attempt to shop, go and see the Christmas displays, walk around the markets or ice skate. You’ll spend the majority of your time stuck in queues not really able to enjoy it at all. 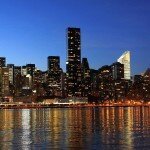 Anything you’re looking to reserve in advance (such as ice skating at the Rockefeller centre, Rockettes show etc.) will of course be worth doing on weekends as your slots/times will be no longer than usual. Again, things get pretty manic around the shops this time of year as you can appreciate; not an activity to pursue on the weekends.